Thursday, Mar. 15, 7:00 p.m. The Rangers will face-off against the Pittsburgh Penguins at Madison Square Garden (7:00 p.m.; TV: MSG Network; Radio: 1050 ESPN Radio), in an Atlantic Division match-up. The Blueshirts currently sit atop the Eastern Conference standings, and rank second in the league overall, with a record of 44-18-7 (95 pts.). The Rangers enter the contest having defeated the Carolina Hurricanes, 4-2, on Tuesday at Madison Square Garden for their sixth consecutive home win, and are now 15-6-3 in their last 24 games. The Penguins enter the contest with a 42-21-5 (89 pts.) record to rank fourth in the Eastern Conference, and have won their last nine games. Following the contest, the Rangers will face-off against the Colorado Avalanche on Saturday, Mar. 17, at Madison Square Garden (7:00 p.m.), in the fourth game of their seven-game homestand. Thursday, Jan. 19, 7:00 p.m. The league’s superstar and poster-boy player has played in just nine games since the Winter Classic last season. The New York Rangers top defenseman has not suited up in a game this season. The Philadelphia Flyers captain and top defenseman has not played in an NHL game since November 19th and will be out the rest of the regular season, playoffs and possibly ever again. The New York Rangers could be seeing even more of the arch-rival Islanders if a realignment plan approved by the NHL Board of Governors on Monday night is implemented. At the BOG meetings in Pebble Beach, Calif., the board approved a plan that eliminates the current two-conference, six-division setup in favor of a configuration that features four conferences based primarily on geography. Two conferences will have eight teams, the other two will have seven teams. 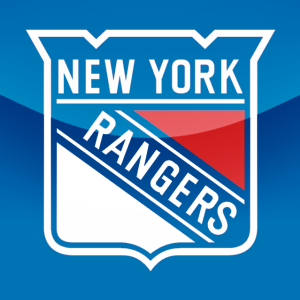 – The Rangers defeated the Pittsburgh Penguins, 4-3, tonight at Madison Square Garden to extend their home winning streak to seven games, and have now won their last three contests overall. Tuesday, Nov. 29, 7:30 p.m. The Rangers will face-off against the Pittsburgh Penguins tomorrow at Madison Square Garden (7:30 p.m.), in an Atlantic Division matchup. The Blueshirts currently rank third in the Atlantic Division standings, and sixth in the Eastern Conference, with a record of 12-5-3 (27 pts). The Rangers enter the contest having defeated the Philadelphia Flyers, 2-0, on Saturday at Madison Square Garden, to extend their home winning streak to six games. New York has now won their last two games, having completed a sweep of their back-to-back set against Washington and Philadelphia. The Penguins enter the contest with a 14-6-4 (32 pts) record to rank first in the Eastern Conference, and have lost five of their last seven games on the road (2-4-1). Following tomorrow’s contest, the Rangers will face-off against the Carolina Hurricanes on Thursday, Dec. 1, at RBC Center (7:00 p.m.), to begin a two-game Southeast road trip. Whale rookie Jonathan Audy-Marchessault brings some of the qualities of former Wolf Pack right wing P.A. Parenteau, as Greenville Road Warriors coach Dean Stork noticed before wanting to sign him for his ECHL team. Unfortunately for Stork, Audy-Marchessault played so well as an invite on the Rangers’ team in the prospects tournament in September in Traverse City, Mich., that he got invited to Rangers camp. When he continued to show well, he earned a spot with the Whale and is now the team’s leading scorer, after getting a goal and an assist Saturday night. Audy-Marchessault’s goal came on a 35-foot laser from the top of the right circle that cleanly beat Jeff Frazee high to the glove side. He later assisted on rookie Carl Hagelin’s goal off a second primary assist by veteran defenseman Wade Redden. Gernander also put Audy-Marchessault in the fifth and final spot in the shootout. He tried a Denis Savard spin-o-rama move that Frazee stopped, but when Matt Taormina hit the post to the left of Cam Talbot (18 saves), the Whale won the shootout on goals by Zuccarello (brilliant slow-moving fake and deke to the backhand) and defenseman Brendan Bell (quick wrist shot). Zuccarello had nearly won the game 1:17 into overtime, but he hit the post for the second time and then looked skyward in disbelief. 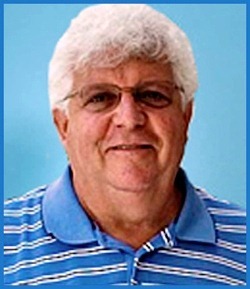 Dave Scatchard is the latest example of why all of hockey should do everything possible to prevent headhunting. Scatchard, a center who played three games with the Hartford Wolf Pack in the 2007-08 season, has decided to end his 14-year pro career because of post-concussion symptoms. Scatchard, who had 128 goals and 141 assists in 659 NHL games with six teams, including the New York Islanders and Boston Bruins, can’t recall his career finale with the AHL’s Peoria Rivermen in April when he was knocked unconscious for five minutes by a late hit and woke up scared in an ambulance because he didn’t know where he was. Scatchard, 35, was still determined to return this season until doctors at the Mayo Clinic in Rochester, Minn., examined him for a week and told him there were five visible spots showing trauma on his brain. So on Aug. 22, he became perhaps the first athlete to announce his retirement on Twitter.